I've almost completed all the square for my granny square throw!!!!! Just 2 more to go, and I'll be done! Then I'll begin weaving in all the loose ends and then finally joining them all together. My least favourite part, and the least transportable (the joining part) because I won't be able to do it on the train! 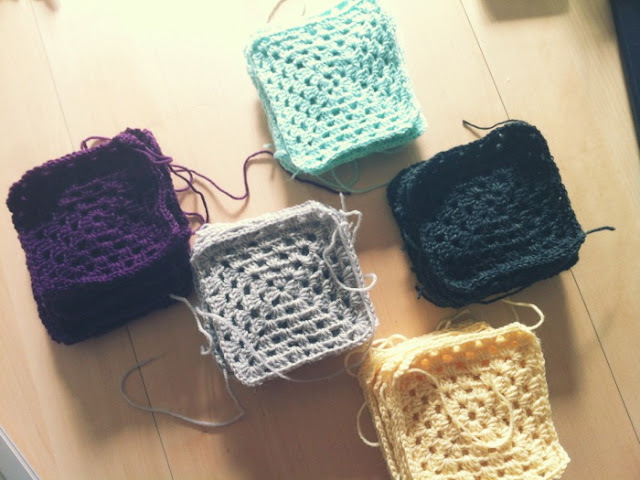 I've been crocheting 2 squares per day - 1 square on the way to work, 1 square on the way home. Going to use this technique to join my squares together... I'm very excited!